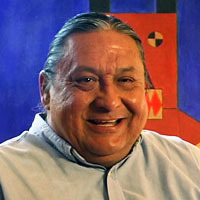 An author, historian and educator, Darrell Kipp, M.A., was also co-founder and director of the Piegan Institute in Browning, Montana until his retirement in 2007. He also served as the chair of the Siyeh Development Corporation’s Board of Directors. In his interview, he offers his perspective on preserving individual Indian diversity and the challenges many Indians face in trying to preserve their traditions and languages in the modern era. The Essential Debate - Darrell Kipp.